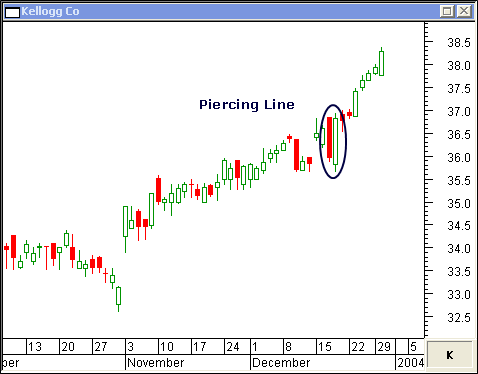 he Piercing Line Candlestick and Dark Cloud Cover Candlestick patterns are rare but a good indication the trend will reverse. The following charts will help you recognize this pattern. 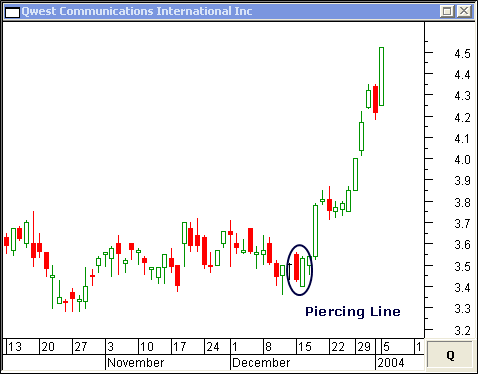 The Piercing Line pattern, which formed on December 18, is a good indication the trend will continue on this daily chart of Kellogg Co.
On this daily chart of Qwest Communications International Inc, the Piercing Line which developed on December 16 helped propel the stock out of its extended trading range. 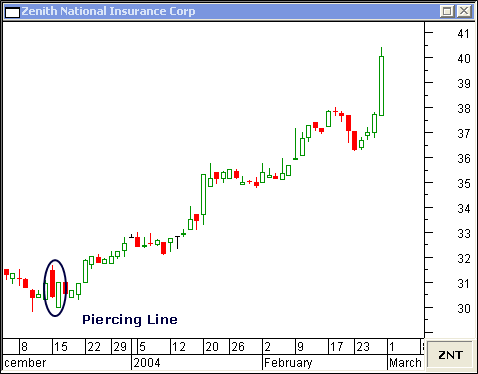 Zenith National Insurance Corp begins a 10-point move when the Piercing Line formed on December 16 launches the stock on its spectacular run. 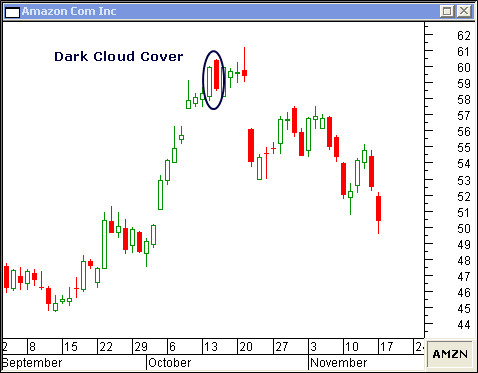 The Dark Cloud Cover candlestick pattern is as ominous as the name implies... usually, sending a stock lower. 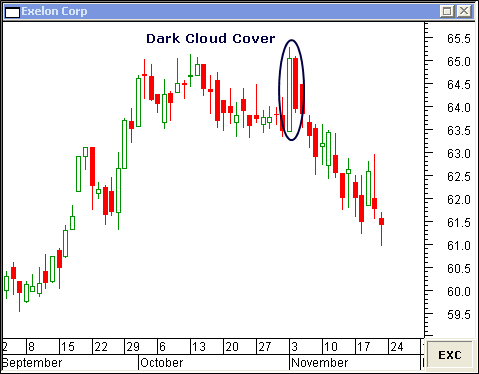 The Dark Cloud Cover pattern which appeared on October 15 sent shares tumbling $10.00 on this daily chart of Amazon Com Inc.
On this daily chart of Exelon Corp, a Dark Cloud Cover pattern formed on November 4... ending a one-month consolidation period. 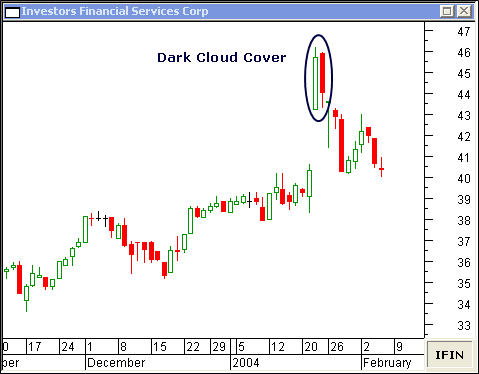 A Dark Cloud Cover candle on January 23 proceeded a quick 6-point drop on this daily chart of Investors Financial Services Corp.